Living Legends is the 20-22 of May. I get to see all my favorite peeps. 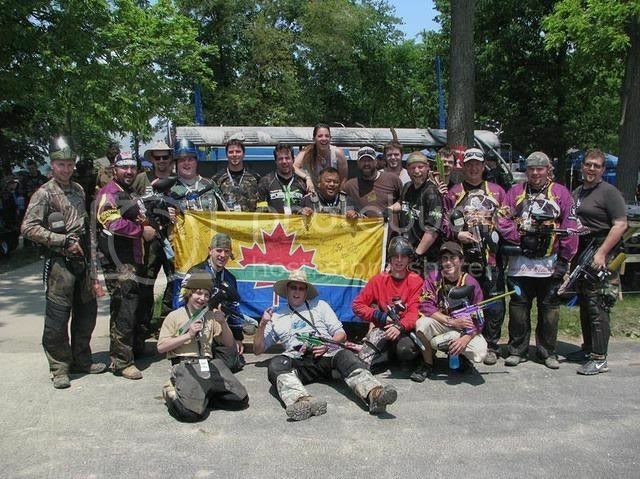 It's my favorite paintball trip of the year and it has nothing to do with the paintball that is played. sadly i don't think i can make this one this year. the new house has taken a toll on the pocket book. maybe this year it won't be rediculously humid and hot. Awe.... We can't wait to see you either Mr. Jay! I'm counting down the days. I hope "Team Fat Kid"'s medic is coming back. I'll be there to ref the NPPL event, but I hope I can sneak away and meet some of the peeps from MCB I've only chatted with or PM'ed. Team Fat Kid will be there representing for sure! Well come on by and see us, we’ll be set up out there Friday morning. I will be there Friday afternoon, ill swing by! And sold almost half of everything by Saturday.